In this article we will look into setting up very basic LAMP website. 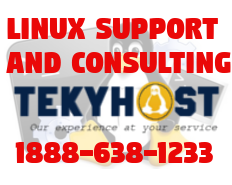 We will setup self signed ssl certificate and configure virtual host to run https. SSL is not bullet proof technology but it helps to make your website more secure by creating encrypted link between browser and web server. Path or location in current directory tree is ether refereed to as Absolute or Relative. Lets take a look at what they are. Absolute Path: Absolute path also known as full or fully qualified path points to a file or directory in relation to / . When we execute pwd command we get absolute path.